A French Ticking that’s bold and still easy to pair with neutrals? Yes please. In red? Even better! 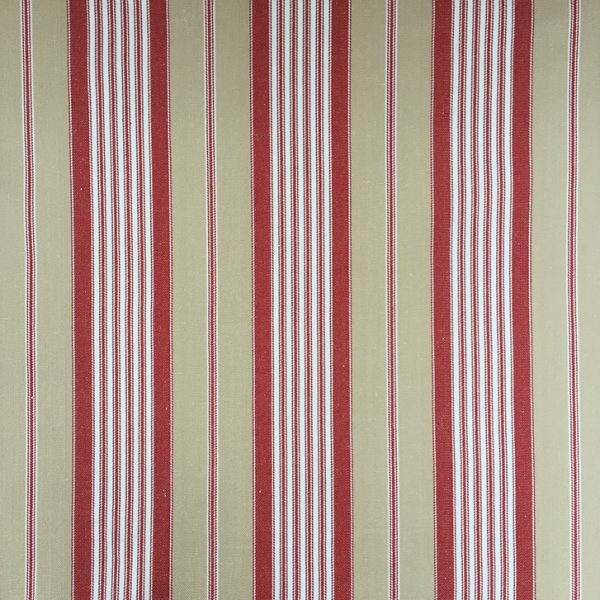 This cotton brings together the chic properties of Beige as a versatile neutral with the red and white stripes. Creating a fabric easy to pair with neutrals, whilst becoming a bold feature piece. 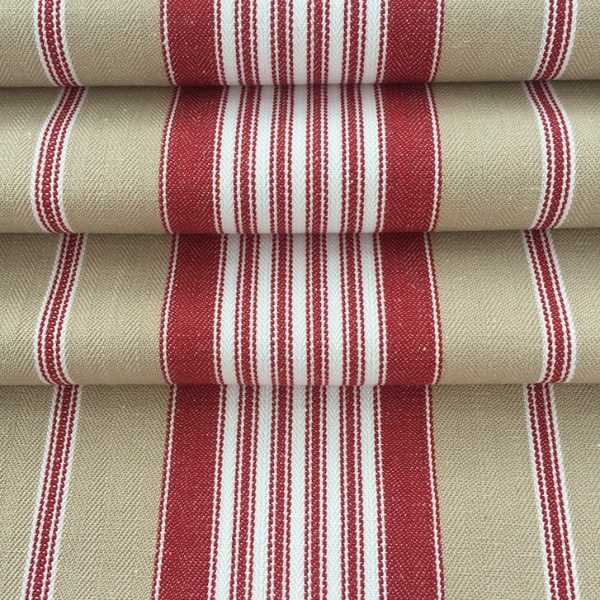 Take charge and recover a sofa boasting this neutral beige striped red cotton as a statement piece that’s loud but simple. Or blend tones together and complete your room with scatter cushions in a complimentary red that’s far from boring. A green and brown woven fabric. This Moss Fern – Cotton fabric has a lime green base that is woven finely with a delicate sheen to contrast against the raised matte medium brown base. 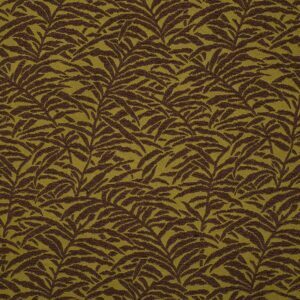 The fern patter in brown takes up the most of the fabric with only small bursts of the bright green coming through. 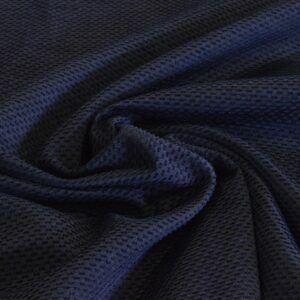 This makes the fabric more versatile while still having its impact. 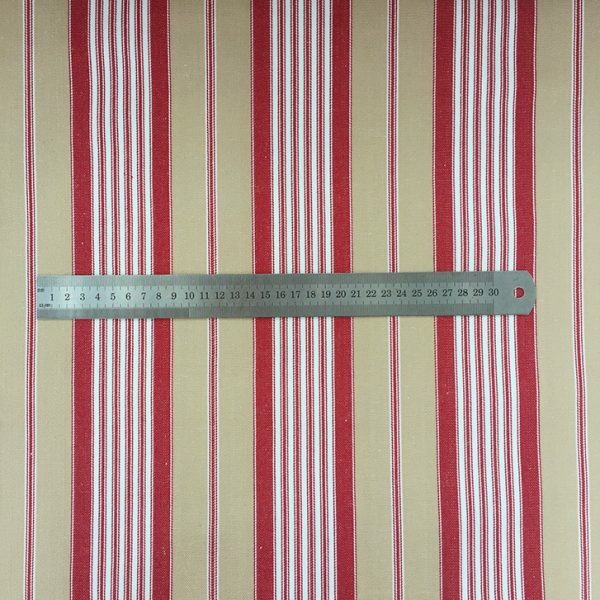 This fabric is available on 1 roll. Bottle Green French Damask is a vivid deep bottle green French damask. The deep conifer-green background contrasts against the muted green of the damask print giving dimension to the fabric. A true deep bottle green classic. Add darkness that still catches the light to deepen the richness of a room without losing its energy. 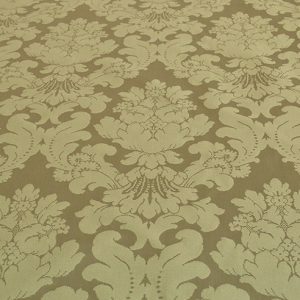 Olive French Damask – Cotton French Damask Collection is a lighter olive green compared to that of the warmer golden Autumn Leaves, more subdued and evoking cooler tones. With only subtle traces of warm golden shades to give enough life to the green damask, this might just be the right amount of lightness that your dark room needs. Black on black is a mix of two fabric fibres that give off different shades of black to add dimension. A fine, black, glossy-like weave provides the background for the raised, thicker, intermittent black chenille. An alluring and rich black to break up the room slightly and bring new life to it. 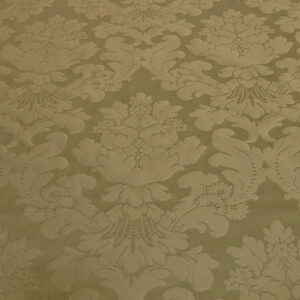 Thistle – French Damask Collection is a green damask that has an overall rich golden hue. Hints of this rich warmth comes through in the khaki green background. The contrasting raised brown-green damask print also evokes these golden tones. Overall, a very rich green damask that boasts colour without vibrancy to maintain a sophisticated appeal. For reference, this fabric is a richer version of the “Oregano” French Damask. This durable, robust fabric is thick and luxurious to the touch, but the light, warm, biscuit colour keeps this piece light and approachable. 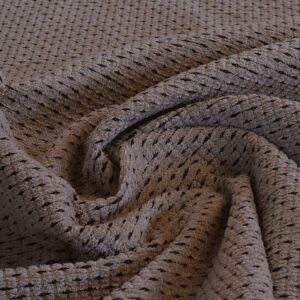 Gentle and furry, the luxe pile and warm beige tones give a welcoming and comforting feel to the fabric. Much like your furry four legged friend, this piece is loyal, warm and soothing.